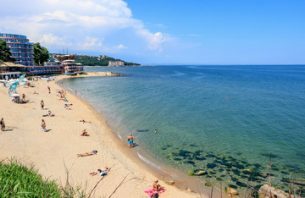 The Bulgarian resort of Sunny Beach has been named as offering the best value for money break for UK holidaymakers for a second year running, an annual report has revealed. It was found to be the place where Brits will see their pounds stretch furthest in research which saw the Turkish resort of Marmaris in second place while the Algarve in Portugal is third. However, the most expensive place for a holiday was found to be Mahe in the Seychelles. The ranking was revealed in the Post Office Travel Money’s yearly Worldwide Holiday Costs Barometer. To compile the report, the Post Office compares the cost of eight everyday tourist items in 42 cities and resorts worldwide to see where the pound will stretch furthest. The price of the basket of items, which are a meal for two, drinks, sunscreen and insect repellent in first placed Sunny Beach is just £36.03.